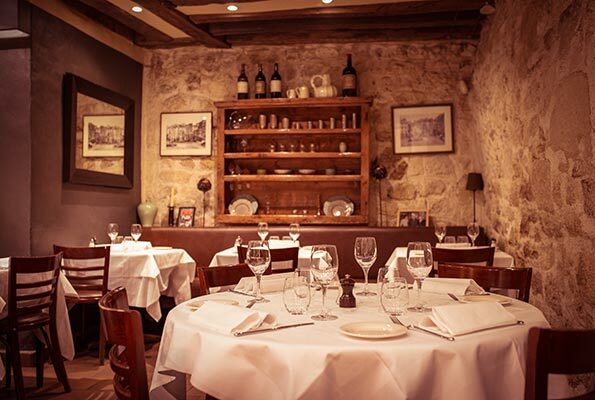 Le Caveau du Palais welcomes you for your private reception, your business or any other group diners. Please contact us in order to advise you with the best offer regarding your expectations and needs. Come visit us to discover our location! Your Company is looking for an outstanding setting in a charming Parisian atmosphere? Our restaurant is available to make possible your project. A special occasion to celebrate with your family or friends, complemented with a delicious meal in one of the most beautiful squares of Paris. Our Chef is always ready to please you with the ideal menu for you. Incentives, business groups lunch and dinners, special occasions… Our staff is always ready to help you.